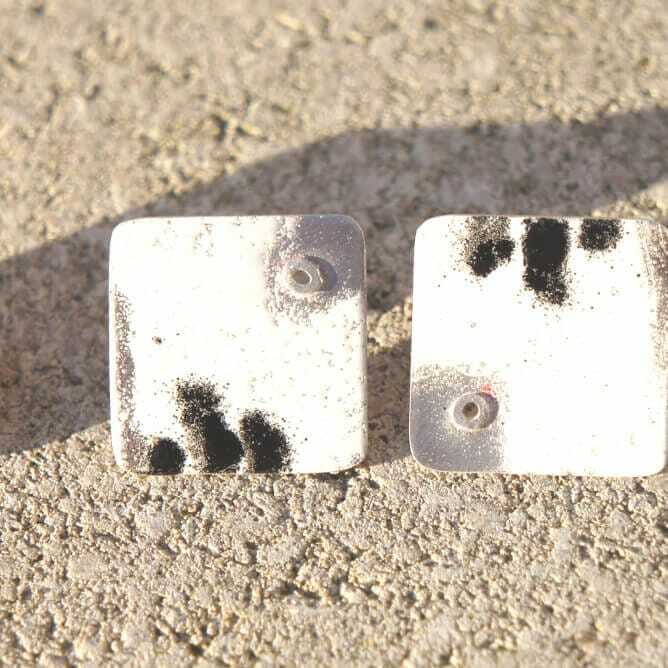 Graffiti inspired monochrome enamel urban earrings. 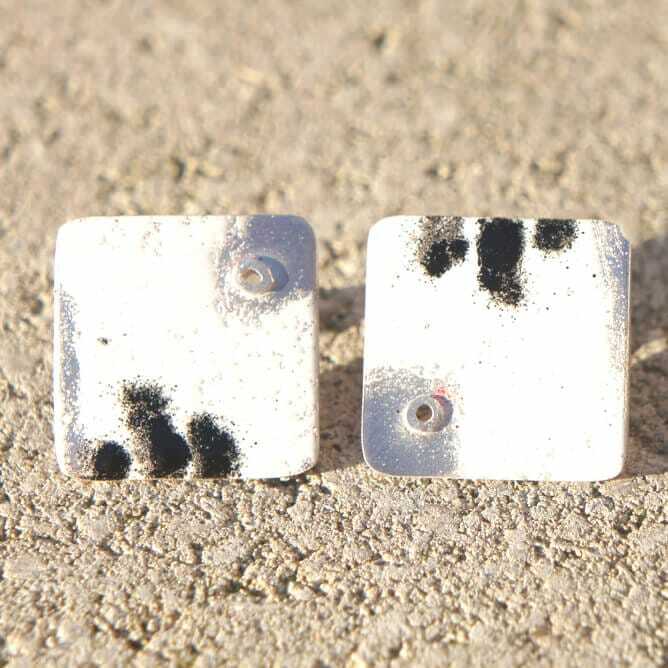 Large handmade square sterling silver stud earrings with tube rivet and enamel in black & white. 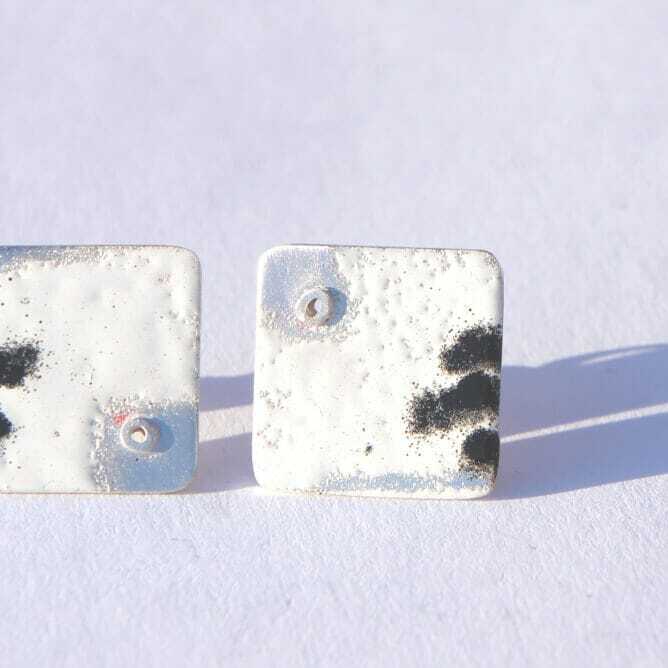 They measure 15mm x 15mm approx. 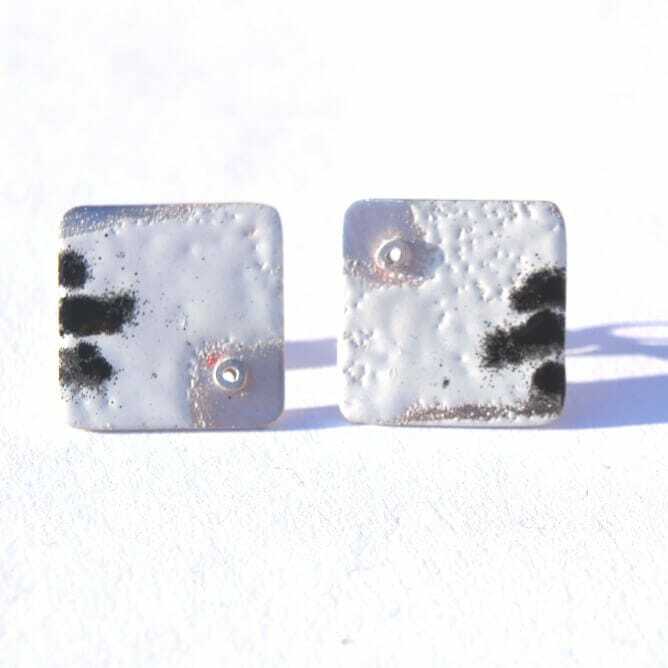 Please note due to being handmade, enamelling may vary, meaning no two pairs are exactly the same making them unique! Your purchase will be delivered complete in a presentation box.